Yale School of Management, also known as YSOM, is a prestigious school located in New Haven, Connecticut. 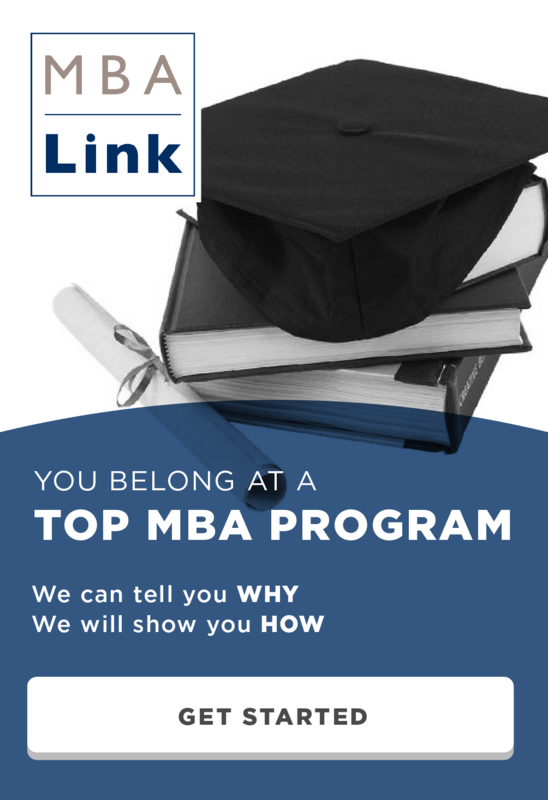 It is difficult to gain admission to Yale’s MBA program, similar to their undergraduate school. The YSOM class of 2016 has impressive statistics, with a median GMAT of 720 and median GPA of 3.56. Only 22% of applicants who apply to Yale will be accepted. Similar to all other schools, a high GMAT score will increase your chance of being admitted to Yale. Although the average GMAT score for the class of 2016 is 720, the average score for applicants is 7 points lower at 713. 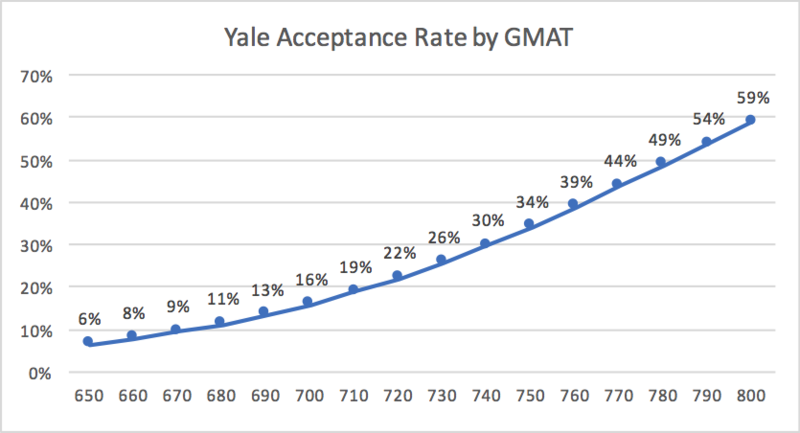 The GMAT range of the middle 80% of Yale MBA students is 680 to 760. However, the difference in acceptance rate for the bottom of that range is substantially lower than the top. An applicant with a 760 is more than three times more likely to be admitted than an applicant with a 680. 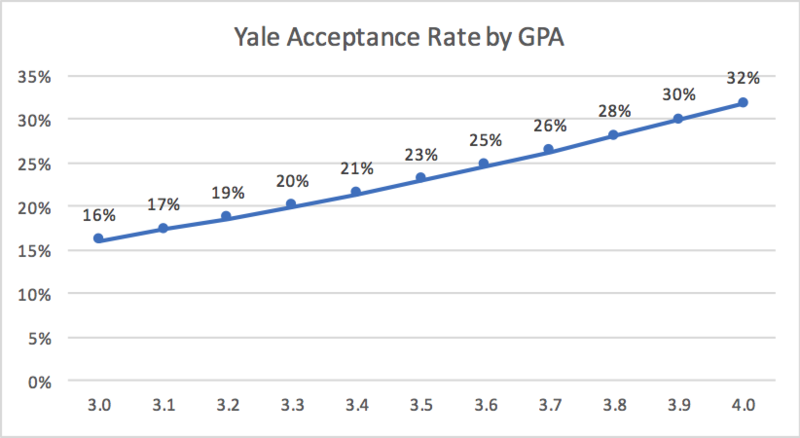 A high GPA also raises the acceptance rate at Yale. The middle 80% students in the class of 2016 have a GPA between 3.17 and 3.87. An applicants with 3.87 is surprisingly only 50% more likely to be admitted than one with a 3.17. Even a perfect 4.0 only raises Yale MBA acceptance rate to 32%. 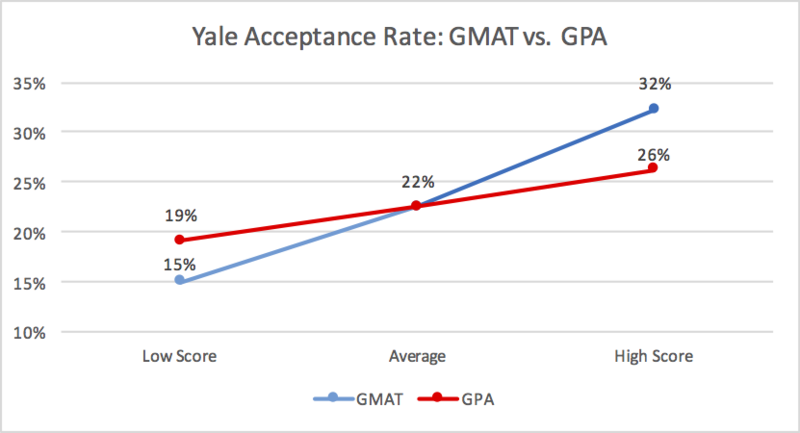 The chart above shows that GMAT is more important for admission to Yale than GPA. A high GPA will only increase acceptance rate by 4%, while a high GMAT results in a 10% higher chance of being admitted. * If you have a low GPA and a high GMAT, Yale is a great school to consider. For example, an applicant with a 3.0 and a 770 has a 34% chance of admission. 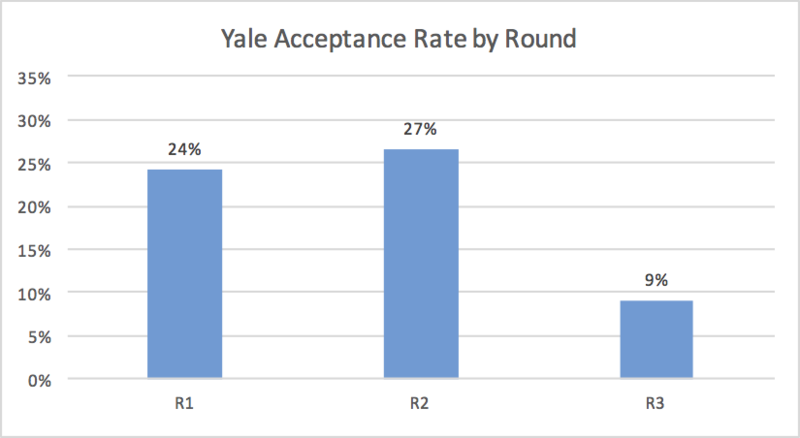 When applying to Yale, it does not matter whether you apply during the first or second round. However, applying in the third round is a huge disadvantage. Your chance of admission is less than half as likely compared to the first two rounds, so be proactive and submit your app early. Indian applicants are at a significant disadvantage at Yale, with only a 6% acceptance rate. On the other hand, Yale seems to really like applicants with experience working for consumer packaged goods companies. Their acceptance rate is shockingly high, almost three times higher than average. *A high score is defined as one standard deviation higher than average. This entry was posted in Admissions, GMAT, GPA, MBA, Yale and tagged Admissions, Country, GMAT, GPA, Industry, Yale on August 7, 2015 by Data Guru. It would be really helpful to reconnect with you. Can you please help me with profile evaluation? Thanks for the analysis… the GMAT slope is surprisingly steep. I knew Yale SOM weighed GMAT heavily, but it looks even more important than it is for Wharton/CBS/Booth. Hi! I know my GPA 2,7 is pretty low but I studied Applied Mathematics in the best university in Latin America and it is above average. I have a 710 GMAT and 4 years of experience in Project Management in different industries and also my own small company. Can you predict my chances for round 1 and 2? Thanks! PS – Being male or female changes anything? I’m not sure how your GPA will affect your admission chance. Worst case Yale will really count it similar to a 2.7 in the USA which has an average GPA of 3.56. The best case scenario is Yale understands that GPAs are lower in your country and counts it similar to 3.56. I assume that it will be somewhere in the middle so I’ll calculate your odds for each case. Round 1 vs. round 2 does not seem to impact acceptance rate. My data does not include gender, so I can’t predict how much it affects acceptance rates. Many schools are trying to attract more female students so it is widely believed that being female increases your chance of admission but I have no hard data to back it up. Any chance on a profile review? 3 years sales experience at leading CPG. Sure, I’ll email you directly. ok great, thanks. let me know if any other info would help. I would be happy to analyze your chances. I emailed you directly for more information about your profile. Thank you for the response. Just sent you an email response. Hi Wayne, I know this post is from a while back, but Yale is my absolute dream school, and I was wondering if you would be willing to analyze my chances of getting in. I’ve got a 3.1 GPA from an Ivy League institution (toward the bottom-tier of the Ivy League, though) with a double major in Economics and Philosophy. I’ve only taken practice GMATs so far and I’m hoping to improve my score, but my highest so far was a 730. I also have two years of work experience, will have three by the time I apply, including two promotions. Let me know if there’s anything additional that would help in assessing my chances. I’d also like to know where you see the biggest areas of weakness and maybe a couple of quick tips on how to work on that during this next year? Thanks so much in advance! Put your stats in the calculator. It will tell you the same thing that I would calculate by hand. You would likely be competitive at Yale as long as you have some good leadership experience.